Our 16’ Espresso & Deli Food Trailer is a great set-up for anyone looking to sell coffee, smoothies, deli sandwiches, and fresh baked goods. This is an ideal combination. By adding the ability to make deli products as well as coffee, it really helps up your sales by attracting more customers. Why stop at just a coffee, add a donut or a sandwich and double your sales ticket and your profits. It is big enough to be ran by up to four people comfortably and small enough to be pulled behind a small pickup or SUV and can squeeze into those tight farmers’ market spaces. It is great for fairs and festivals too. It would also work great set up semi-permanently in town. It is quick and easy to set up…just pull up, plug in, and you are ready to go. No need to arrive hours early or stay hours after an event setting up and tearing down. There is also plenty of storage and room to move around. Easy to clean surfaces and anti-slip flooring mean less time scrubbing and more time making money. 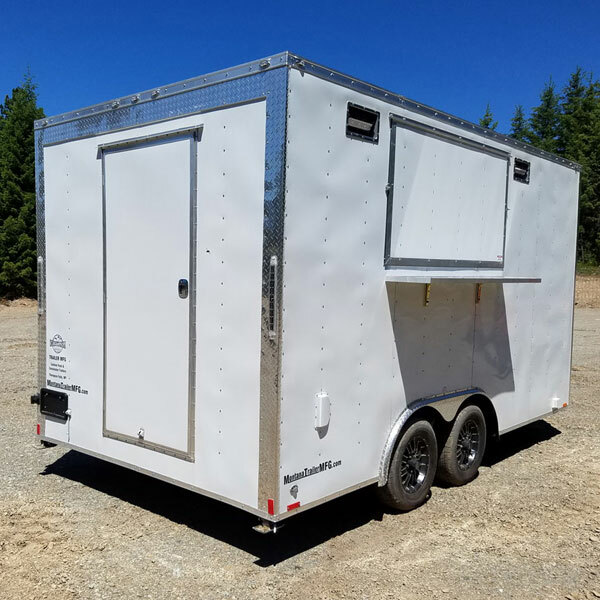 This Food Trailer provides a safe environment for you, your help, and your customers. Most of all, it is user friendly, and is designed to handle crowds of hungry people without slowing you down. 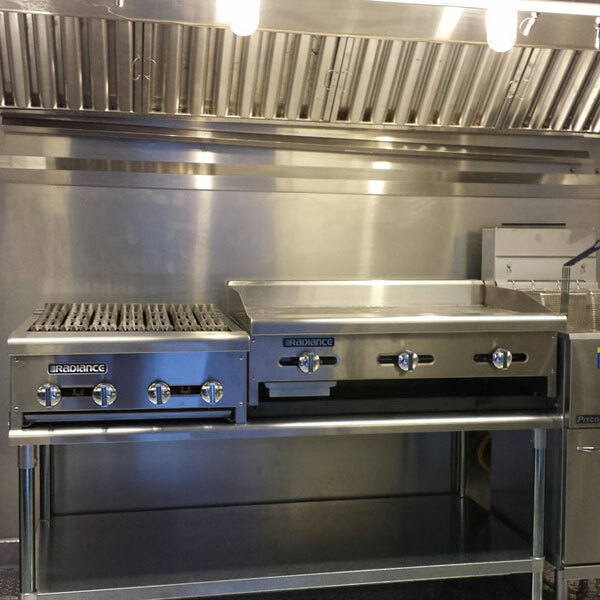 It comes with lots of counter top space to Fit a large espresso machine, bean grinder, and a drip brewer. Keep in mind, this price does NOT include the coffee equipment. Most baristas are pretty picky about which machine they prefer and prices on espresso machines vary greatly. As far as the grinder and drip brewing equipment, it is usually supplied to you at no cost from the company you choose to buy your coffee from. But, if you are not picky and would like us to supply the equipment as well just let us know and we will let you know what the charge will be for the added equipment. 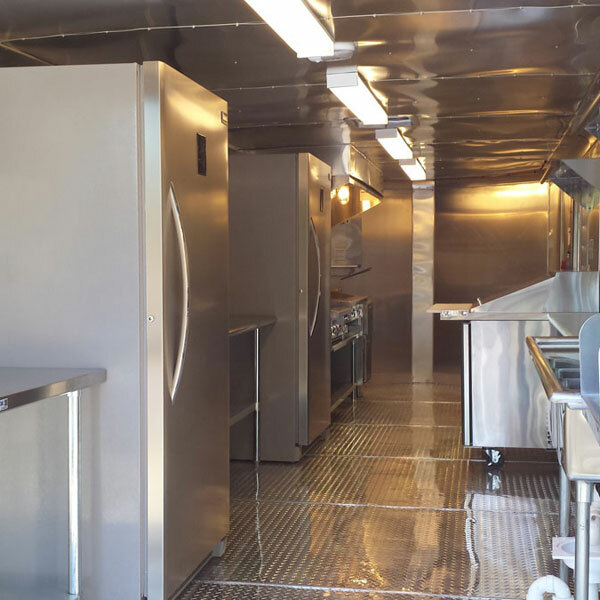 It is backed up by plenty of commercial refrigeration and freezer space to store your product. It also has a counter top prep cooler making assembly of deli sandwiches fast and easy, while providing access to fresh fruit and vegetables for shakes and smoothies a snap. Also lots of counter top space for blenders, microwaves, and for all that pesky prep work. 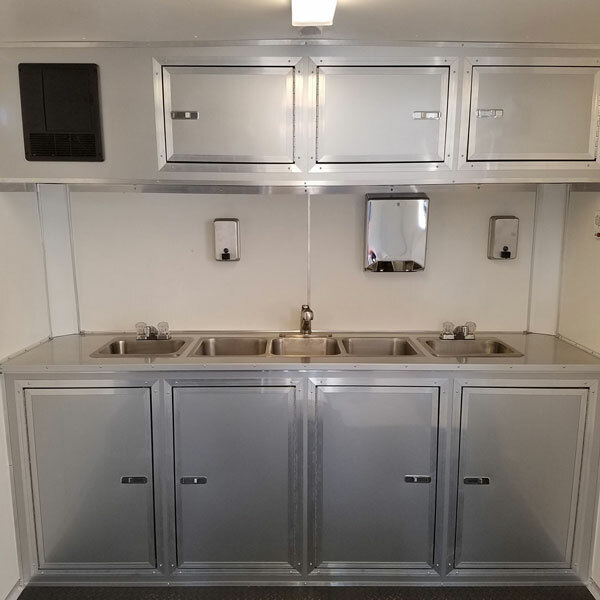 And at the end of the day, when it’s time to clean up, there’s lots of room in the 3 compartment sink and a propane on demand water heater. It pulls easily behind a ½ to ¾ ton pick-up. Remember, all our rigs are custom made to order for YOU and the menu that YOU have in mind. So if there is something you want to change or add just let us know. Feel free to give us a call or shoot us and email for more info.